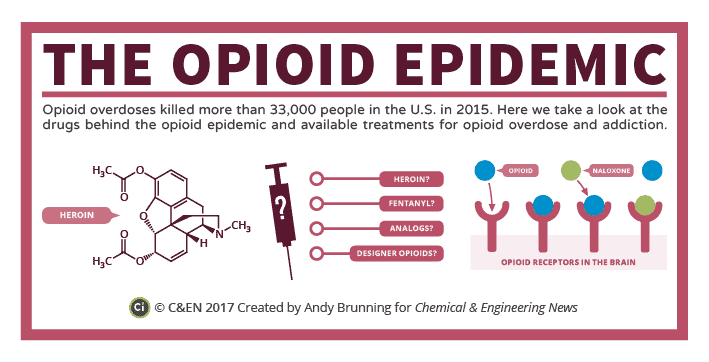 Between 1999 and 2016, more than 350,000 Americans died from an opioid overdose.And there’s no end in sight. 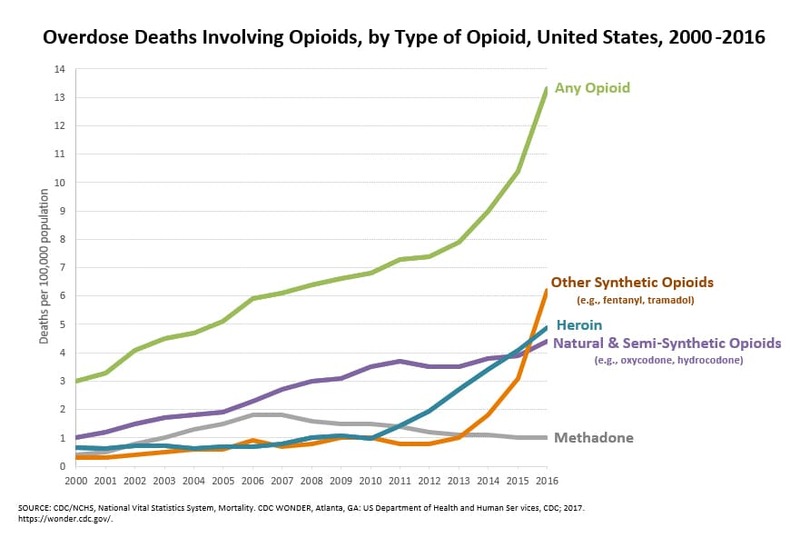 Overdose deaths continue to soar, having increased more than 500% since 1999. These statistics don’t include the countless number of people whose lives have been ruined by these powerful painkillers. For years, doctors avoided prescribing opioid-based painkillers like OxyContin, Vicodin, or Percocet for fear that patients would become addicted. But in the 1990s, attitudes within the medical community underwent a seismic shift. Physicians, acknowledging that too many people were suffering from untreated pain, added pain as the fifth vital health sign. In addition to checking a person’s temperature, blood pressure, pulse, and respiration rate, doctors began asking patients to rate their pain on a scale of 0 to 10. A patient who reported a pain level of 6 or higher because of back pain, nerve pain, cancer, or any other condition was routinely prescribed one of the many opioid painkillers on the market. Doctors might have felt they were doing right by their patients, but their good intentions sowed the seeds of the crisis we’re experiencing today. Opioids travel through the bloodstream to the brain, where they attach to proteins (called mu opioid receptors). This triggers a complex biochemical process that alleviates pain. Over time, the brain becomes accustomed to the presence of opioids and requires higher and higher doses to achieve the same results. This is referred to as opioid tolerance. Tolerance becomes dependence when repeated exposure to escalating dosages alters the brain so it functions more or less normally when the drugs are present, and abnormally when they’re not. And people who become dependent on opioids can’t simply stop taking them. That’s because in addition to alleviating pain, these powerful drugs release dopamine, a neurotransmitter present in regions of the brain that regulates feelings of pleasure. The overstimulation of this system produces a sense of euphoria and motivates repeated use of the drug simply for pleasure.At this point, opioid dependence becomes an addiction. This damage distorts a person’s decision-making abilities, causing an opioid user to lose the ability to regulate opioid consumption. He or she, in essence, is unable to quit, unable to just say no. Current withdrawal programs that transition addicts to methadone and buprenorphine can cause ongoing disruption to the glutamatergic system, never allowing the brain to fully heal. This may explain why some people succeed in stopping opioids for a short time, only to relapse over and over. Evidence continues to mount that cannabis might be the key to resolving the opioid crisis. A study conducted at UC Berkeley found that an overwhelming majority of medical marijuana patients use less opioid-based pain medication as a result of their ability to substitute cannabis for pain management. A report from the National Academy of Science concluded that chronic pain is a condition for which there is “conclusive or substantial evidence” for cannabis’ effectiveness. In addition to preventing opioid addiction, cannabis also has the potential to help heal those who have already become addicted. According to Dr. Yasmin Hurd, director of the Addiction Institute, cannabis has the ability to “restructure and normalize” the brain at the “cellular level,” healing the glutamatergic system that, as we saw above, is damaged by long-term opioid use. Unfortunately, cannabis is still listed as a Schedule I controlled substance under US federal law. This means doctors are discouraged from prescribing it (even in states that have legalized it), and insurance companies won’t reimburse patients who use it. But that is changing, thanks to the efforts of several groups looking to legalize medical marijuana. After years of public statements that the compounds in marijuana had NO medical benefits, the FDA approved the first drug comprised of an active ingredient derived from marijuana to treat rare, severe forms of epilepsy in June 2018. This was a major win for groups focused on legalizing medical marijuana in the US. While marijuana is still illegal at the US federal level, US states and nations around the globe have taken it upon themselves to correct the uneducated view that marijuana is a public pariah and has no redeeming qualities. California legalized medical marijuana in 1996. Canada followed suit in 2001 with legalization of medical marijuana, and more recently with full federal legalization. Over 30 states in the US have legalized medical marijuana, with others organizing to follow the same path to legalization. Across the globe, more and more countries have legalized or decriminalized cannabis. There are now 30 countries that have given the green light to medical cannabis in some capacity, as well as a small handful of others that allow medical weed use within very strict guidelines, such as in the form of cannabis-derived pharmaceuticals. Legalizing marijuana moves money from the black market to the legal market. Marijuana stocks are booming as investors race to take part in the “Green Rush”. But you have to know how to find those companies before they explode, separating the blockbusters from the duds. Do your research and find your entry point where you are comfortable. Tetra Bio-Pharma (TSX-V: TBP / OTCQB: TBPMF) is a biopharmaceutical leader in cannabinoid-based drug discovery and development with a clinical program aimed at bringing novel drugs and treatments to patients and their healthcare providers. The Company has several subsidiaries that are engaged in the development of Bio Pharmaceuticals and Natural Health Products containing Cannabis and other medicinal plant based elements. Tetra Bio-Pharma is focused on combining the traditional methods of medicinal cannabis use with the supporting scientific validation and safety data required for inclusion into the existing bio pharma industry by regulators, physicians and insurance companies. Cronos Group Inc. (CRON) is a Toronto-based cultivator of medical marijuana, and was Nasdaq’s first pot stock. In addition to Canada, Cronos serves an international market. It ships its products to Germany, is building a facility in Israel and has a license through a joint venture in Australia. While it does not have a presence in the United States due to the uncertainty in regulations, as of the fiscal year ending March 31, 2018 the company generated $2.2 million in revenue. Tilray Inc. (NASDAQ: TLRY) has rapidly become the most valuable marijuana company in the world. The company’s $13.6 billion market cap, after all, is substantially higher than those of either Canopy Growth Corporation (NYSE:CGC) or Aurora Cannabis (TSX:ACB) — Canada’s second and third most valuable cannabis-oriented businesses, respectively. Tilray cultivates a wide range of strains to meet patient needs including indicas, sativas, hybrids, and CBD-rich varieties. They take a scientific approach to product development with a product line focused on active ingredients and standardized, well-defined preparations. Their formulations and delivery formats are intended to allow for consistent and measured dosing. In October 2018, the company announced a massive convertible senior note offering of $450 million. This will greatly increase their cash flow for acquisitions of smaller players, keeping competition low and prices high for dried flower. Next post This Pure Play Cybersecurity Company is Setting Up For a Big Breakout! Hey Buddy!, I found this information for you: "A Solution to the Opioid Crisis and a Big Payday for Investors". Here is the website link: https://financial-news-now.com/companys-solution-to-the-opioid-crisis-could-create-a-big-payday-for-investors/. Thank you.